Ohio PARCC Assessment Practice Tests - Start Practicing Now! What are the Ohio PARCC Assessment Tests? The PARCC Assessment (Partnership for Assessment of Readiness for College and Careers) is the newly developed standardized testing administered in 13 states and Washington DC. The PARCC is specifically designed around the Common Core State Standards and focuses on Mathematics and Language Arts / Literacy. 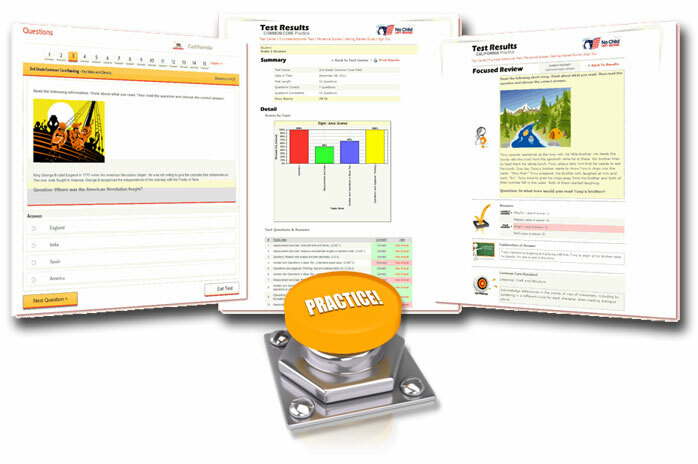 Our practice materials helps students build confidence and raise test scores for the Ohio PARCC Assessment. The materials are both affordable and comprehensive encompassing all major subjects: English / Language Arts, Mathematics, Science and Social Science. The Bright Education System is proven effective in helping students prepare for the Ohio PARCC Assessment. Our materials are very affordable and we offer flexible pricing options to fit your budget. Volume pricing is also available for schools. PARCC® is a registered trademark of PARCC, Inc. BrightEducation and its affiliates are not owned by or affiliated in any fashion with PARCC, Inc., the Partnership for the Assessment of Readiness for College and Careers, nor any state of the Union. Neither PARCC, Inc., nor The Partnership for the Assessment of Readiness for College and Careers, nor any member state has endorsed this product. No portion of any fees or charges paid for any products or services BrightEducation and its affiliates offer will be paid or inure to the benefit of PARCC, Inc., or any state of the Union.